Join the bowling team for their annual fundraiser at Maplewood Lanes and Smokehouse 52 in Saline! 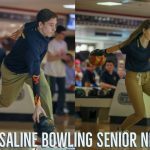 Join the fun and excitement that is Saline High School Bowling! 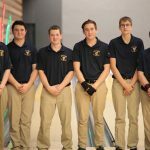 Tryouts are Nov. 12-15 at Maplewood Lanes. Start time is 3:30 sharp, each day. Ladies and Gentlemen of all grades are welcome! Physical forms are due no later than 11/12 for these tryouts.